All of our compost products can be used to improve your existing soil by spreading approximately 2″ over your unplanted lawn. Then till it in and rake it out smoothly. Plant a high quality grass seed, use straw or more WDR Compost to cover the seed lightly. All our compost products can also be used in existing flower beds or shrubbery beds by placing 1.5″ of our compost on the bed and then apply 1.5″ of mulch. This will feed your plants year round. WDR Compost is analyzed for PH and Nutrient levels as well as Carbon/Nitrogen Ratio. Customer Pick up available. 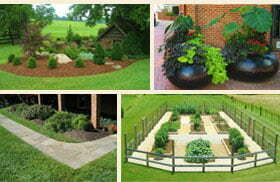 Delivered sizes range from 4 cubic yards to 20 cubic yards.